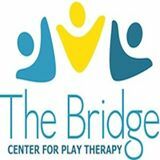 Bridge Center for Play Therapy - Get Involved. Make Friends. Enjoy Motherhood. The Bridge Center for Play Therapy Boulder, offers Play Therapy for children, Pre-Teen/Teen Therapy and Counseling, in addition to our very own Parenting and Play.™ Conveniently located in South Boulder, our center services client’s from Boulder, Louisville, Lafayette, Broomfield and Longmont area. Our center believes that there are times in everyone’s life that create more emotional distress and having someone support you to learn from these experiences is necessary. Our highly trained, qualified therapists support each client in exploring their challenges and uncovering their own approach to handling these challenges. Our therapist’s encourage all clients to find their true meaning and purpose, even through difficult times. From play therapy to innovative parenting support our therapist’s help create the foundation for client’s of all ages to increase self-esteem, build their awareness, understand their purpose, and promote transformation. Therapist’s work with client’s collaboratively to identify challenges and embark on a powerful process of transformation. MOD Moms Discount: We would love to partner with MOD Mom’s! It is our mission to make our services available to everyone and therefore would love to exclusively offer members of MOD Mom’s their first session FREE. This would include and Play Therapy Session, Parenting Session or Parent & Play session. This first session, would require not additional commitment and is simply an opportunity for your MOD Moms to get additional support for trained experts in the field of Parenting and Play. It is a great opportunity to “bridge” our communities and support each other.